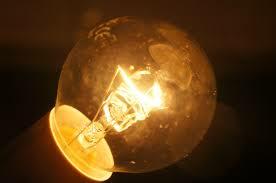 One of the many interesting facts about this patent war is that Edison was not the first to invent a light bulb. This no surprise, virtually every significant invention in recorded times built on the works of others. As far back as 1800, inventor Alessandra Volta had developed a method for conducting electricity by using copper wire and a number of other materials. 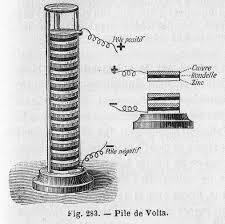 Throughout the 1800s, many inventors experimented with various materials to be placed in a glass cylinder to conduct electricity continuously, but none was long-lasting. Edison realized that the problem with these prior experiments was the filament being used to conduct the electricity, as only a filament with a high electrical resistance using a small amount of current could achieve long-lasting light. Edison also, history remembers less, purchased many of the patents of those who came before him, before he eventually filed his now iconic Electric Lamp patent. Edison used brute force, in the form of a team over scientists in his New Jersey laboratory, to conceive of the best solution to the problem. His team tried various types of carbon filament to solve the problem, the first best solution being carbonized bamboo, which could burn for over 1200 hours in a glass cylinder filled with nitrogen. Fortunately for Edison, his patent specification listed a variety of material to be used for the carbon filament, including cotton, linen and wood (so that the bamboo he settled on was covered). Many years later, engineers at Edison’s General Electric later found that tungsten was the best material to be used in light bulbs, and that still is widely used in light bulbs today. Interestingly, Edison was aware of tungsten, but at the time of the first practical deployment of light bulbs, in the 1880s, machinery did not exist to produce a tungsten-based wire had not yet been invented. And then, as always, the inevitable litigation. The most prominent of these cases, Edison v. Westinghouse, was the subject of a best seller by Graham Moore, The Last Days of Night, which is a fascinating read (and the story is the subject of at least two movies in development). On Edison’s side were the leading lawyers of the day, and on Westinghouse’s side, amazingly for our enlightened times, was young Paul Cravath, who might be better known today for essentially creating the modern law firm model. To handle the light bulb patent litigation (an area with which Cravath had no experience at the time), Cravath hired a team of associates, supervised by himself as a partner, developing the partner-associate model for modern times. But, as to the matter of who invented the light bulb – it was found to be Edison, even though by the time that war had ended, the patent was near expiration. 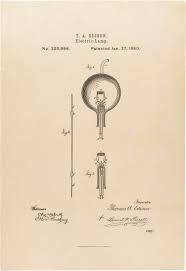 While Westinghouse convincingly argued that Edison was not first, he was first with drafting a patent to cover the specific method of utilizing a carbon filament, and drafted it well enough that his later conception and reduction to practice was covered. On the other hand, Edison’s patent was drafted in a broad-based way, knowing of the art of the day, so that while he may have only commercialized one specific type of light bulb, there was almost no way around commercializing a light bulb without infringing on his patents. And while others at Edison’s lab may have helped, it was never shown that anyone else specifically contributed substantially to the invention, another smart move by Edison. Lastly, Edison had built such a strong business and PR operation by this time that anyone seeking to enter into the business, even someone as well-financed as Westinghouse, could not hope to enter the market without Edison noticing. In essence, he was the savviest-patent filer of all time, and that’s why we think of him as the top inventor in United States history (apologies to many others who of course could have done it with the right timing and opportunity).